Tom van Rooyen is passionate about food and cooking. His baking is inspired by a fusion of seasonal, local home cooking and creative influences from cultures across the globe. Brought up on a Dumfries and Galloway smallholding, he has since travelled and worked around the world. Returning to Dumfries and Galloway in 2000 with his wife Pavlina, Tom worked as a cook for a local events centre where he became known for his curries, risottos, soups and of course his baking. Having to cater for a wide variety of special diets led Tom to experiment with different flours, and longer slower baking methods such as sourdough. 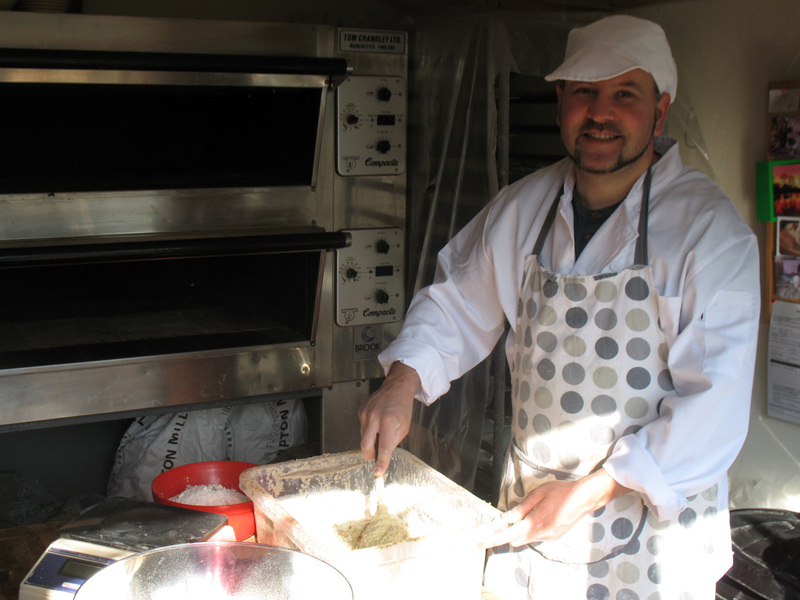 In 2011 Tom set up The Earth’s Crust Bakery with the aim of providing real bread to his local community. Pavlina van Rooyen’s career background is in marketing and graphic design. In her native Czech, bread is still made traditionally in small community bakeries. Applying her 21st-century design and marketing skills to the running of her own small family bakery, it feels natural to Pavlina to rediscover the traditions of the past and bring them into a fresh and vibrant present and future.